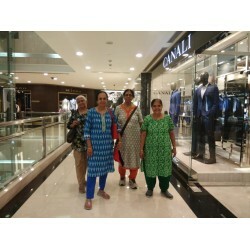 " We had been to China with Holidaywalas.com earlier and thoroughly enjoyed it. Egypt by far exceeded our expectation. We stayed in 5 star hotels like Le Meridian. Even the cruise was luxurious. The local Egyptian guide Mr. Ahmed was excellent and explained all the stories in detail. Holidaywalas took special care to serve vegetarian food in Egypt and we had a chance to try several cuisines like Mediterranean, African and Indian. Overall it was a wonderful trip. 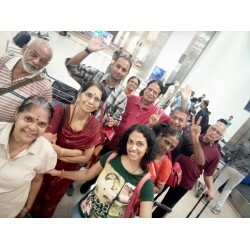 Thank you Holidawalas.com, looking forward to join your next international tour. 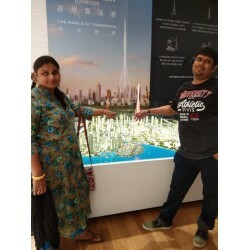 23rd - 30th Jan 2019 "
" Dubai and Abu Dhabi, UAE Trip was too fun in Feb month. The weather was cool there. We had veg food from nice restaurants. Gujarati, south Indian food we got in Dubai. We had a nice time in burj Khalifa, burj Al Arab., Jumeriah beach, hotel Atlantis, Dubai marina , miracle gardens etc. In Abu Dhabi, we had a nice time in Ferrari World, Sheikh Zayed Grand Mosque. Over all the Trip was too fun. I also had a nice time in Singapore and Malaysia. My earlier international trip. 8th - 13th Feb "
" We were Lucky to get in to contact with Holidaywalas who arranged an excellent Trip to Srilanka in February this year. 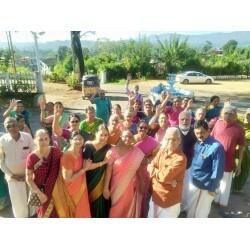 Each and every aspect of the tour was taken care of fully We would only be too happy to recommend Holidaywalas to any body for a tour 7th - 11th Feb 2019 "
" We are enjoyed our customized srilanka trip with Holidaywalas.com 18th - 24th Feb 2019 "
" Thank you all for the efforts taken for the recent china trip. It was very enjoyable and very comfortable. Within the given time we have covered as many places as possible. Food was very well taken care of especially for us being totally vegetarian. Even the chinese food was delicious. Because our tour manager also accompanied us we felt too relaxed . we expect more and more trips from YOU. the only point to note. please make sure we are not directly taken to tour from the airport. checking in the hotel relax for sometime and then the touring can start with more energy. Otherwise there is nothing to complain. arrangements were excellent. " " Thank you Satish and Alwin, you both made the trip live, Thank you the co members who participated in this tour for your more friendly and cooperative nature. 11th - 17th June 2018 "
" Thanks to Holidaywalas.com for a Wonderful China Vietnam Trip 19th May - 1st June "
" A well organised customised trip to Ranthambore, Jaipur, Ajmer, Pushkar and Udaipur. Comfortable stay far away from home and excellent transport with a pleasantly mannered driver. A satisfying experience thanks to team Divyadesh "
" Thanking Holidaywalas.com who ensured the entire Lanka landscape is covered in a well organized seven day long trip. Apart from the rich cultural experience, the tour organizers ensured no compromise on food preferences and comfort of the stay! Huge shout out to our Lankan trip guide who was never tired of answering my history and economy related queries! Great visual and learning vacation! " 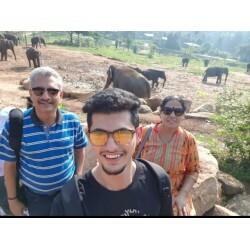 " Comfy Hotels, Good food, mesmerising nature, excellent car and driver for the entire 6N/7D trip made it an unforgettable vacation with the family. 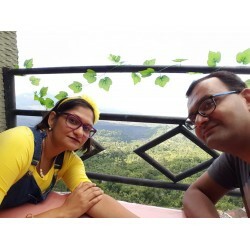 Thanks holidaywalas.com, we couldn't have asked for more. " 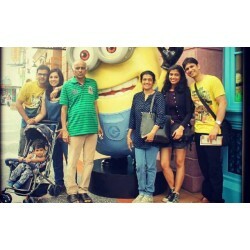 " We had a fun filled tour of Singapore and we thoroughly enjoyed the trip. 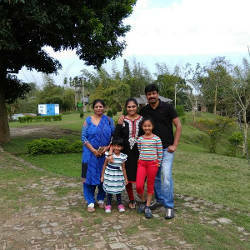 Thanks to Holidaywalas.com for making our trip absolutely memorable. The package was customised as per our requirements. We have next planned our Europe trip with them and are looking eagerly looking forward to it. " 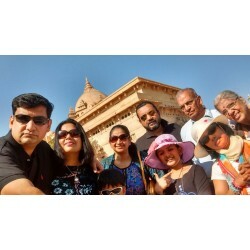 " Our Rajasthan trip was one of our most joyous vacation we have had in a long time. Every part of the trip from hotels to tents to vehicle was just perfect. A big Thanks. " 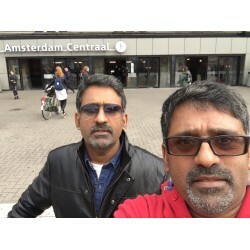 " Our Amsterdam trip was perfectly planned and executed thanks to Holidaywalas.com. The entire process right from booking to trip was smooth and hassle free. We plan to undertake many more foreign trips with Holidaywalas.com. 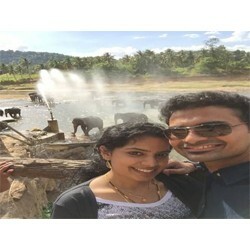 Ganesh & Kumar Iyer CEO Royal Forwarders "
" We had a wonderful stay at Bali which we booked through Holidaywalas. Their service was immaculate and the entire process of booking the trip was smooth and hassle free. " 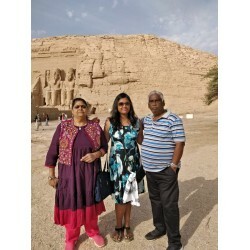 " My wife and I recently used Holidaywalas tours and travels for a trip in Sri Lanka. We have had a very pleasant experience overall. 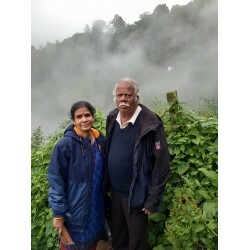 Satish Venkatraman, our contact at Holidaywalas, was very knowledgeable about the points of interest and was able to build an itinerary according to our travel needs. He kept us updated on the travel arrangements and shared necessary contact information as we needed it. We were able to review the hotels before the reservations which enabled us to ensure they met our requirements. The vehicles used for our transportation were arranged to accommodate our needs (We had a lot of luggage!). The drivers who served as our tour guides were very courteous and made every effort to ensure our specific travel requests were addressed. "